In my parents’ building in Paris, where I spent most of my childhood, there’s a hole in the wall near the ground - a hole big enough for a child to crawl through, and as a child I would always do so instead of using the door. Most of the time I’d already wriggled through the hole before my parents had found their keys - and I’d open the glass door from the inside, extremely dusty but very conscious of my power. As time went by, I somehow stopped crawling through the hole. One day, when I got home from school, I realised I’d forgotten my keys. No problem, I thought, I can just go through the hole. But of course when I tried I couldn’t - it was too narrow for my shoulders. It didn’t make me sad. But for some time afterwards, when I thought about it, I confusedly wondered - was it really because I’d grown too big for it that I couldn’t go through the hole anymore, or was it because I’d stopped going through the hole that I’d grown too big for it? As a child I was constantly, voraciously hungry. I would actually dream that I was eating roast chicken with cream, or Nutella crêpes or cheese. Only pride would prevent me from crying if I had any reason to believe that another child, or indeed adult, had been given more food than me. I couldn’t focus on anything if there was a vending machine in sight, especially if it sold Kinder Bueno, my favourite chocolate bar and an absolute torture, as I was always divided between the desire to eat each chunk in one go and the temptation to open them up like little boxes and lick the cream inside. I had a friend whose mum made excellent cakes every day. I often stayed with them on holiday, and my friend and I would prowl like vulture around the kitchen table as her mum finished scraping the dough out of the mixing bowl and into the cake dish with a spoon. Then we’d fight furiously over the remnants of dough in the bowl, with fingers, tongues and chins. One day, her mum bought a silicon spatula. I’d never seen a silicon spatula before. We watched in horror as the ruthlessly efficient implement left barely a trail of cake dough in the mixing bowl. Every day after that, we swallowed back tears, and I clearly remember my head spinning with frustrated desire, as increasingly spotless mixing bowls ended up in the sink to be washed. We prayed and implored my friend’s mum to leave us at least a tiny bit, but she was under the impression that it was less useful to us raw than baked. We devised the perfect crime: we pushed the spatula all the way to the bottom of the cutlery drawer and it fell behind it, and behind the freezer beneath the drawer, with a satisfying CLACK, joining dozens of lost spoons, scissors and other expatriates from the overfilled drawer. For the next few days the wooden spoon returned and with it the minutes of bowl-licking. Then they bought another spatula. My mother was pregnant with my sister; I was five and a half years old. We had an absolutely tiny flat in Paris and my parents were looking for a less absolutely tiny flat. I knew how much they wanted to spend on it, and I ‘helped’ by looking at ads in the windows of estate agencies. Suddenly I spotted an ad for a castle, a castle, for sale at a much lower price than the one my parents were ready to put into the new flat. It had turrets, an immense garden, a forest. I listened, without understanding, as my mother explained that they didn’t want a castle, because they wanted to live in Paris. I pointed out that the ad said that it was only half and hour from Paris. My mother laughed and said no, Clementine, listen, we’re not buying a castle. We’re buying a flat in Paris. I remember thinking, distinctly and with real alarm, feeling that this realisation would have an enormous impact on my future life: my parents are mad. I live with people who are mad. 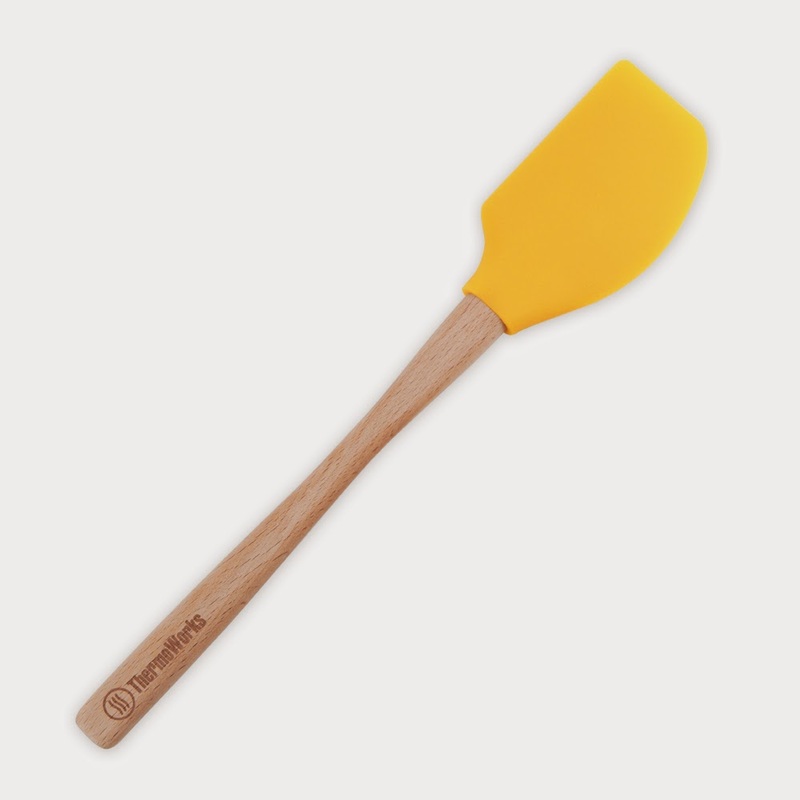 I have three silicon spatulas now, and when I finally get a permanent job I will likely buy a small house or a flat. Not a castle. It was ‘us’ children versus ‘them’ adults once upon a time, and now it’s the opposite. They’re really not like us, are they? I’m just not that hungry anymore. Sure, the memory of that hunger prevents me from getting too annoyed at them when they steal bits of mozzarella from the salads before they get to the table (arrghh!!! ), or when they fly into a tantrum for an ice cream. And I think it’s amazing that I once wanted a castle. Amazingly mad. It would be possible to write children's stories from all those intense memories, and to write them as if we truly believed that castles should indeed be bought and that cakes should preferably be eaten raw. But would it be true? Would it be honest? We don't... do that anymore. Would they be our stories now, these nostalgic recollections? How do we write for children, having changed so much? Clémentine Beauvais writes books in both French and English. The former are of all kinds and shapes for all ages, and the latter humour and adventure stories with Hodder and Bloomsbury. She blogs here about children's literature and academia and is on Twitter @blueclementine. Delightful, funny and true. Thank you, Clementine. I spend many happy hours looking on websites to choose the castle I can buy when I sell my house. I will *totally* buy a castle. And you can come and stay, of course. Wonderful and true. Very thought provoking, Clementine. Thank you. You say more in three short stories than many can say in whole novels. That's brightened up my day (or torn my soul into shreds, one of the two). 'The Spatula, The Castle and the Hole In The Wall'. What a great title for a book. Colours *were* brighter back then. I'm sure it's not just my eyes. Enjoyed these very much. Point well taken. The intensity of childhood. So easy to forget the importance of certain objects, longings and dreams. A powerful post, so thanks, Clementine. Lovely little stories - thank-you. Brilliant and mooving Clem ! This was simply wonderful. I was the child of a baking mum who used a wooden spoon but I became a spatula user and feel so guilty about that efficient spatula that I still leave cake mix purposefully behind for the bowl lickers! You ended off with a bit of a poser... like Alice in Wonderland, I think all writers want to still fit through the hole and will resort to shrinking potion to do it.